During extended periods of heat, urban residents are more prone to health problems; elderly people, children, and the ill are particularly vulnerable to overheating and dehydration. To prevent this health challenge, it is important to help each other to stay cool and to keep homes cool. The municipality of Rotterdam therefore presents a new heat app: Extrema Rotterdam. In warm weather, the app tells users which health risks they are running and what they can do about them. In hot weather, our bodies must work harder and sweat more, though it is difficult to stay cool. Without drinking enough water and seeking cooling, it is possible to overheat, become dehydrated or even die as a result of prolonged heat. The elderly, children, and people with diabetes or heart, vascular and lung conditions are particularly vulnerable to overheating and dehydration. When exposed to temperatures above 27° C, people can experience fatigue symptoms, concentration problems and difficulty breathing. 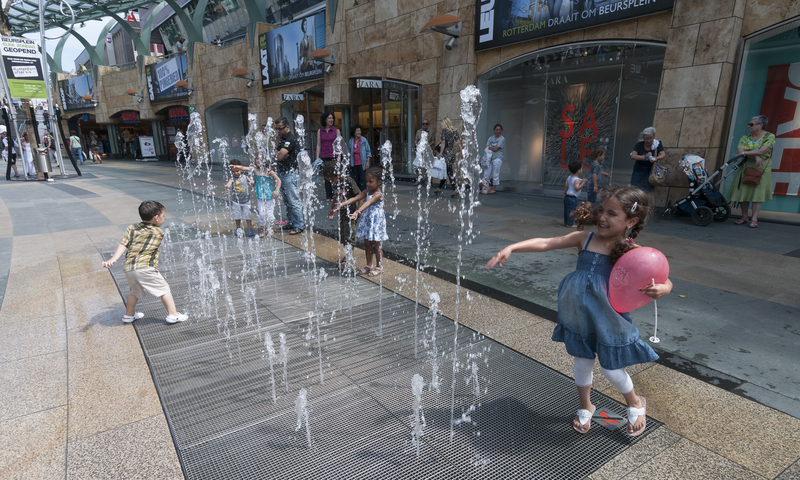 With summer heatwaves expected to rise in frequency and intensity, related health issues will become a greater resilience challenge for cities. 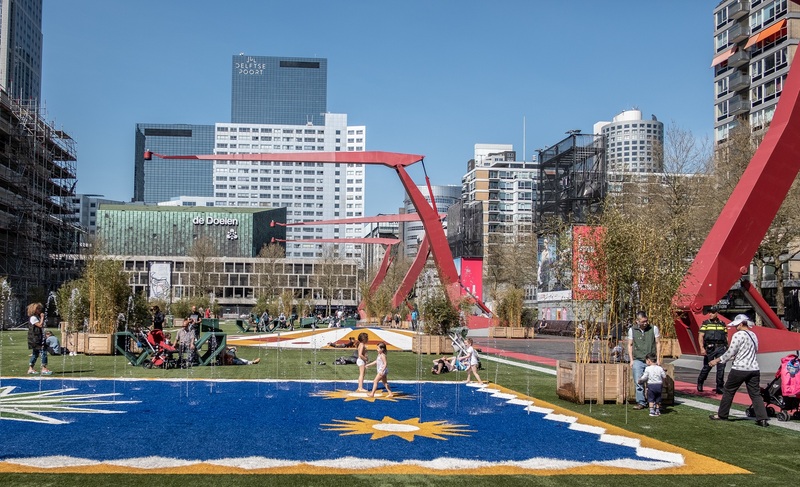 The 'Extrema Rotterdam' app provides citizens of Rotterdam with personal advice about their heat-related health risk. Extrema Rotterdam determines this risk based on current weather, as well as an individual’s age, gender, and health status. The app also maps locations in Rotterdam where residents can find cool public spaces and drinking water access points. Why a heat app for Rotterdam? 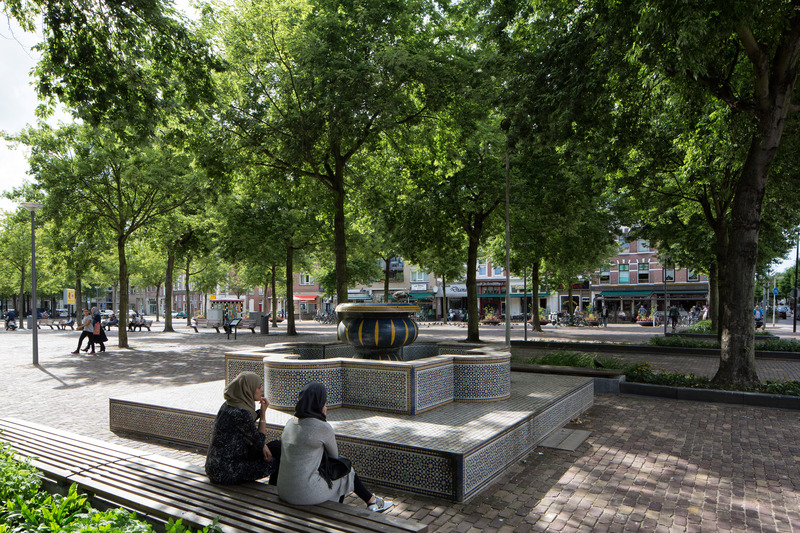 Why would rainy Rotterdam need an app to prevent heat-related health issues? Cities around the world are becoming warmer due to the effects of climate change. In Europe, several record heat waves over the last 20 years have had fatal effects on the populace. Using calculation models, climate experts predict that temperatures will only continue to rise. A city heats up much faster than in the countryside — on average almost 8 degrees. Cities also tend to cool down slowly due to their built environment characterized by asphalt, brick, and little wind. The app has been developed by EXTREMA, a platform partner of the 100 Resilient Cities network. Through this network, cities around the world exchange knowledge and experience, working together on urban resilience challenges including climate change, digitalisation, and the transition to sustainable energy. 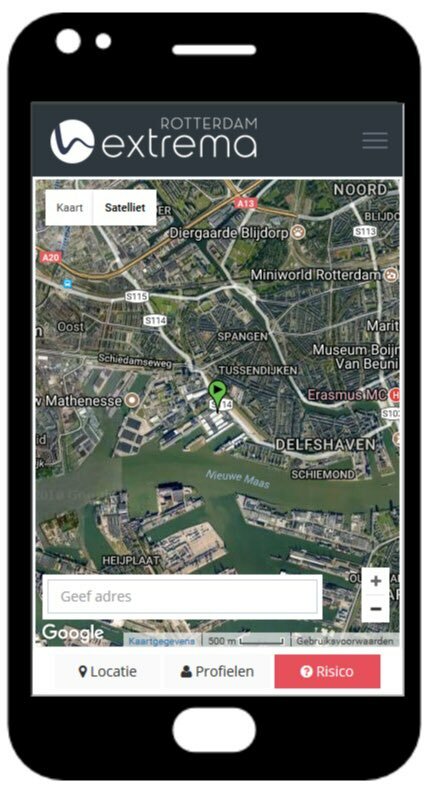 Rotterdam follows Paris and Athens in embracing the Extrema app as a pilot project.